You are here: Home » beachy » Seashells, starfish, and lanterns — Bring on Summer! Seashells, starfish, and lanterns — Bring on Summer! So when your BBB (Best Bloggin Buddy) makes an IKEA trip what do you get?? Why lanterns of course! Read all about it on The Shabby Creek Cottage. Now don’t we all need a BBB like that?? Feeling beachy and summery already. Eggs in a lantern?? Why not?? 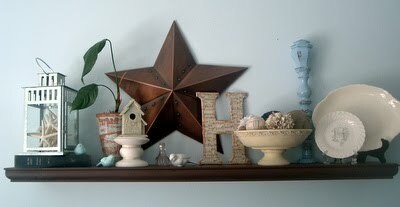 Where do you use shells and starfish in your decor? And don’t we all need a BBB like Gina? previous post: What Would You Do With It Wednesday?? next post: Starfish Wreath – Summer comes to my front door! 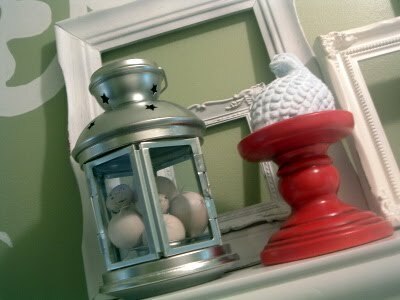 I am loving lanterns this season….I love the look of the eggs you put in yours! I love all this, but he starfish in the lantern are my favorite! I love lanterns and starfish are a good filler. I have old bowls of shells and starfish in a guest room. I like your eggs in the lantern…sounds like a jingle…”eggs in the lantern.hmmmmmm”…. like the starfish in the lantern! cool. Looks great! I put my shells out when it was still cold. 😀 Love the look. Hi Angie.. Silly me.. I never thought to put things in the lanterns! That is really clevr & turned out soo cute! Awesome! And I’m so jealous of your BBB! So beautiful. Everything looks fabulous! Oh wow! I have a huge vase from IKEA and it would be PERFECT filled with starfish and shells! LOVE LOVE LOVE the starfish lantern! (I have a lantern fetish at the moment, and might just have to copy that idea!) Thanks!! 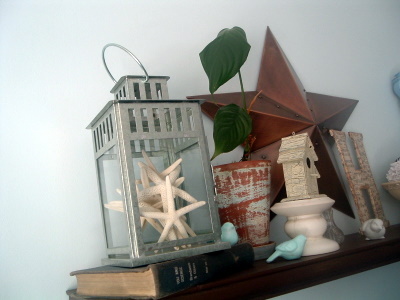 That starfish in the lantern looks great….I always add a few vintage sequins or other pieces of vintage to my starfish! Great photos! I love your blog! How fun! I just got out my lanterns last week…. thanks for the idea to fill them with fun summer stuff… Off to hunt for some goodies! How crazy is this? I just got a latern from the local Goodwill for $2! Gonna add some startfish (thanks for the idea) and make a cute little show piece for the bathroom! I love lanterns. I have a couple and would love more! Of course. Thanks for sharing. Love your ideas! Lanterns and shells speak to my heart, that’s for sure! 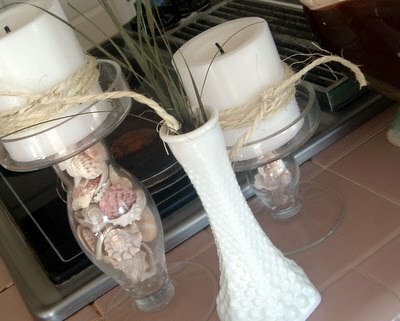 Angie: Love the ideas for the lanterns and jars (and how you made those apothecary jars too)! Thanks for commenting on my craft area too! Girl – you never cease to amaze me! I love your ideas and creativity. I adore Ikea and have several of their lanterns. Your fillers are perfect and your entire vignette lovely! Thanks so much for linking up! So pretty — all of it! And I am SO ready to see some beachy and summery things (and yes those ARE words. I insist!). Love all the beachy accents, but you know I’m a sucker for anything coastal! I have that EXACT little silver lantern! I’m going to have to try the egg idea! Too cute!